Stop staring at your dusty old video games and make them relevant to your college friends. Just because the gameplay isn’t as advanced as newer games doesn’t mean you can’t have a little fun with them. 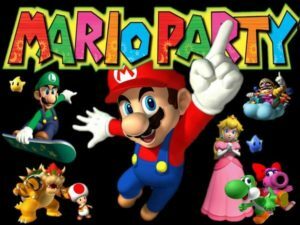 Try these video game inspired drinking games to get your inner geek going. 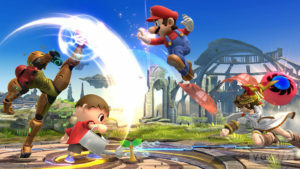 Bump Nintendo characters and battle for supremacy in Super Smash Bros. to the next level. Alcohol shaken in adds a chaotic flair, so team up with your favorite drink to smash some characters and outdrink your opponents. Rules: Take a shot if you lose a life or chug beer until you respawn. Pick your time wisely in this alcoholic version of Mario Kart, but remember never to drink and drive. Bring out the N64 and revamp this classic or check out the newer courses on the Wii with a pair of beer goggles on. Rules: Open a beer before the game starts. 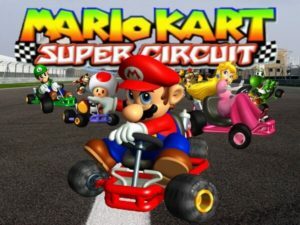 You must finish your beer by the time you cross the finish line on your last lap, but you can only drink when you park your kart on the side of the track (Drinking and driving is illegal). Mario Party: Ruining friendships since 1998. Keep your eye on the board since you’ll probably drink constantly. May the odds be ever in your favor, especially since aggravation often comes up as a side effect. • Take one sip if you land on a red space, get passed by another player or another player gets a star. • Take two sips if you land on a Bowser space or pass start. • Give one sip if you land on a blue space. • Give two sips if you land on a green space or you win a minigame. • If multiple players land on the same space, everyone on that space takes two sips. 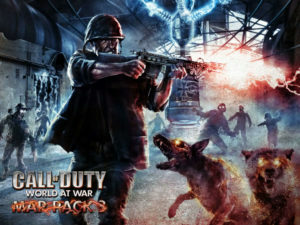 What’s more fun than combining drinking and zombies with Call of Duty’s famous Zombie Mode? Save the world or more likely, slide down a slippery slope of inebriation. Prepare a support team to get each shot ready and remember, don’t get bitten (by the zombies or alcohol). • At the end of each round, all players take a shot. • Alternately, take a sip or a shot every time you get downed by zombies. 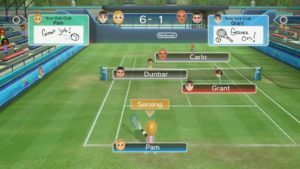 Think you rock at Wii bowling, tennis or golf? Try this alcoholic spin and suddenly you’ll see these “kid” games become a bit more intense. Massive loss of respect points to those who drop or throw a bowling ball backwards, even when in a drunken state. • Take one sip if your opponents bowl a strike, you don’t knock down all 10 pins, or you drop the ball or throw it backwards. • Finish your drink if you bowl a gutter ball, your opponent knocks down a split or you finish in last place. • Give a sip to a person if you bowl a spare. • Take one sip if you lose a point. • Take two sips if you lose the game. • Take three sips if you lose a game where there was a deuce. • Finish your drink if you lose the match. • Take one sip or shot for each stroke over par. • Give a sip or shot for every stroke you’re under par. An oldie but goodie, the James Bond game GoldenEye 007 provides the perfect platform to get your suave party in motion. Find the golden gun to receive a much needed advantage and avoid the humiliating death by slaps. Bonus points for drinking martinis shaken, not stirred. • Take one sip if you die. • Take two sips if you die in an explosion or you kill yourself. • Finish your drink if another player slaps you to death. • At the end of the round the winner gives someone five sips and the person who came last also has to drink five sips no matter the outcome. 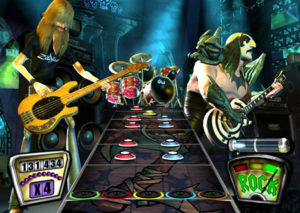 Bust out the plastic guitars, ‘cause this game is for those who like to jam in Guitar Hero. Party like a rock star and try to outdrink your fellow musicians while wailing on the guitar. Drunkenly singing along is highly encouraged. • Choose a difficulty you feel comfortable playing when sober and take a sip for each point you are away from 100% on the song. • Chug during the first star power of any song. 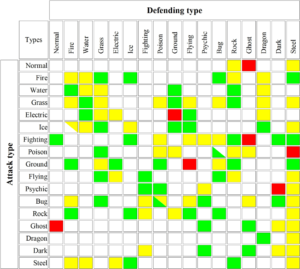 You may be a Pokémon master, but can you keep up your knowledge of types and moves while sipping away? Time to declare the drunken Pokémon master! For added help, declare a Pokémon referee before the match to keep track of the rules and dispense sips. • Take one sip if you switch Pokémon, your attack misses, your stats lower, your opponent’s stats increase, your opponent resists your attack, your opponent gets a critical hit or if you’re inflicted with a status condition. • Take two sips if your Pokémon faints or your opponent is immune to your attack. College Magazine does not promote underage drinking. Please drink responsibly. Lauren Bernasconi is a senior at Florida State University studying Editing, Writing and Media. A self-described history buff, she enjoys reading epic fiction and playing video games. After graduating, she hopes to study at FSU Law and/or pursue a career as an editor.